It was a lively weekend of fight action, so here’s your straight-to-the-point rundown of all the major happenings. It may take longer than 13 seconds to read it, but once you’re done, you’re up-to-date. Nonito Donaire W12 Cesar Juarez: In a hard-fought battle, Donaire won the vacant WBO super bantamweight title, overcoming a gusty effort from his younger opponent. The Filipino controlled the action early and scored two knockdowns in the fourth, but Juarez showed courage and amazing stamina as he kept forcing the fight, seemingly getting stronger as Donaire began to fade. A legit knockdown of the former champion in round ten was called a slip by the referee but it wouldn’t have changed the outcome as the judges’ scorecards were all wide for Donaire. He wins the decision and another title belt, but it’s obvious he’s on the downside. Based on this performance, Donaire would have to be a heavy underdog against any of the other belt-holders at 122. 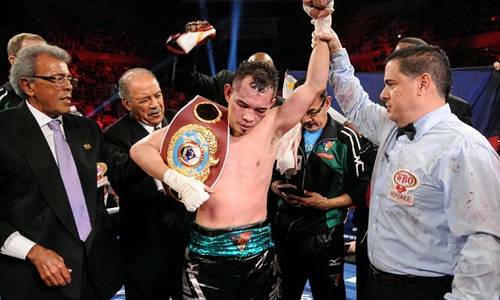 After a tough battle, Donaire collects another belt. Felix Verdejo TKO2 Josenilson Dos Santos: Hyped Puerto Rican prospect Verdejo knocked out Dos Santos in San Juan to win the Latino lightweight title. Verdejo, who fought only three times in 2015 due to a hand injury, smashed Dos Santos with a thunderous right in the second round, prompting the referee to stop it. 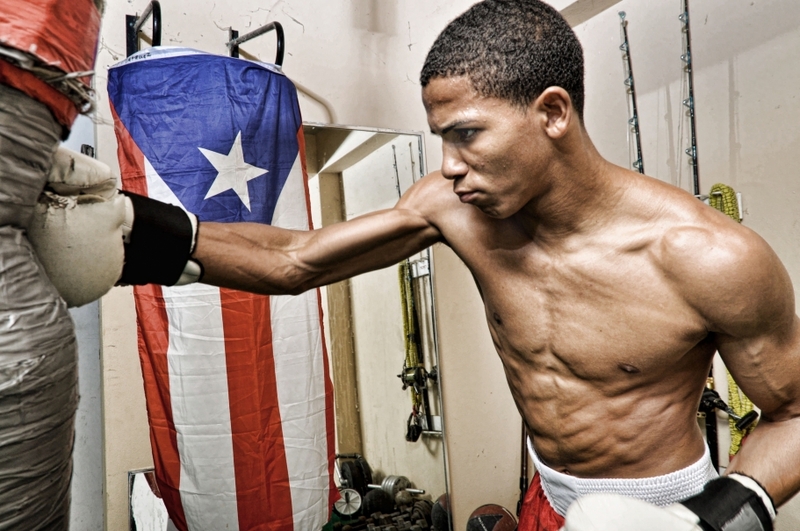 If Verdejo can remain healthy, he is one the best prospects in boxing, blessed with skills and marketability, and is likely the most legitimate heir to Miguel Cotto as Puerto Rico’s biggest star. Omar Figueroa W12 Antonio DeMarco: In another entertaining distance battle, a pair of former lightweight titleholders battled on Premier Boxing Champions in a super-welterweight fight, which may end up being Figueroa’s division in the future given his difficulty making weight. Figueroa’s greater activity and power were the difference, though DeMarco clearly won the second half of the fight. It just wasn’t enough to overcome Omar’s points lead. Neither boxer truly impressed, but they gave fans an entertaining scrap. 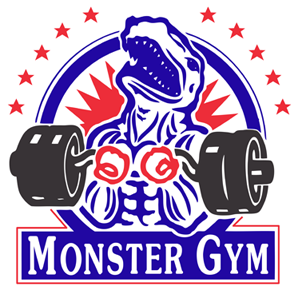 Enzo Maccarinelli KO4 Roy Jones Jr.: No one has wanted to see Roy Jones Jr. compete for quite some time but the former four division world champion and pound-for-pound king simply refuses to quit. Thus, an outcome such as this one was inevitable. Jones getting battered by Maccarinelli. Maccarinelli likely would not have won a round against a prime Jones Jr., but yesterday he became the fifth man to stop “Captain Hook” inside the distance, blasting the 46-year-old Roy in the fourth round with a series of powerful shots and knocking him out with a big uppercut followed by a right hand. Roy was on the canvas for some long minutes after that and it was an ugly sight for anyone who remembers Jones Jr. in his prime. Please, Roy, it’s long past time you said goodbye. Anthony Joshua TKO7 Dillian Whyte: As previewed by our own Eliott McCormick, this was an intriguing match-up in several different ways and the end result did not disappoint, especially if you were hoping Joshua could continue to show that he has the potential to become a truly world-class talent. Joshua showed he has the potential to be a genuine threat. Prior to this, the former Olympian had never gone past the third round and never been tested. This time he was and he showed he could handle adversity and an opponent who had the moxy to stand up to his power, at least for a while. Whyte even hurt Joshua in a thrilling second round, but the undefeated prospect weathered the storm, settled down, started using his jab effectively and soon had matters in firm control. 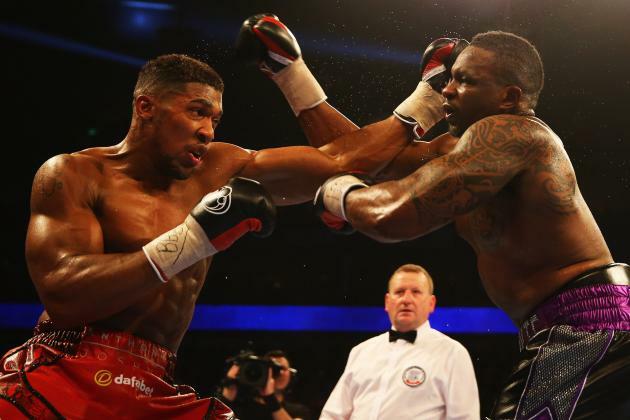 Then Joshua’s power took over and in round seven Whyte was down and out thanks to a vicious uppercut. 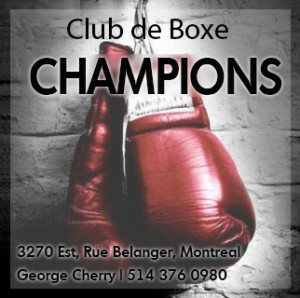 On the undercard, Chris Eubank Jr battered Gary O’Sullivan for seven rounds before the Irishman’s corner surrendered, Ismael Barroso stopped Kevin Mitchell in five to win an interim lightweight belt, and cruiserweight Tony Bellew won a decision over Mateusz Masternak for the European title. 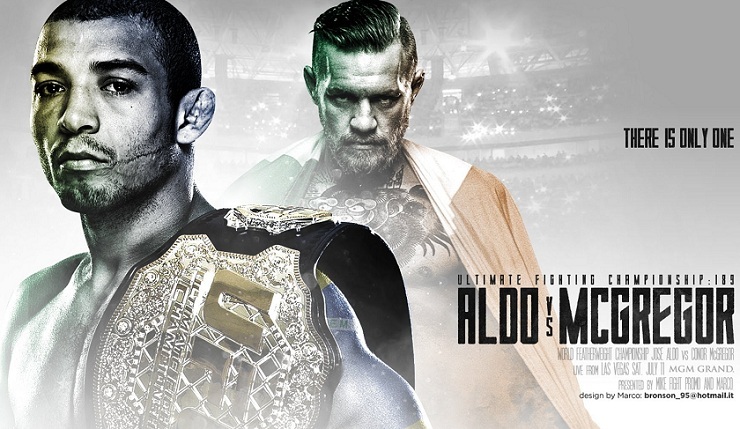 Conor McGregor KO1 Jose Aldo: And finally, as you no doubt already know, the most anticipated match of the year for MMA, the clash for the UFC featherweight title between veteran Jose Aldo and phenomenon Conor McGregor, an event attracting the attention of millions around the world, was over after a single exchange. 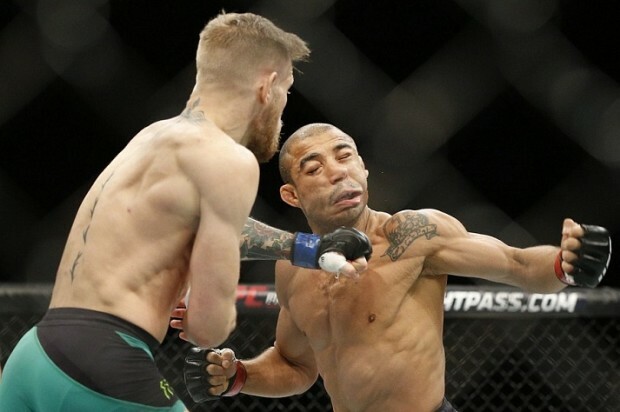 Had it been a boxing match, Aldo would have had a chance to get to his feet and regroup, but instead, stunned by a heavy left cross from the Irishman, Aldo collapsed and McGregor made sure he would not get up again. The fight was over in 13 seconds. And finally, word is negotiations for a Gennady Golovkin vs Canelo Alvarez showdown are proceeding well and it looks like boxing fans can look forward to this must-see clash happening soon. Something tells us it’s going to last longer than 13 seconds. 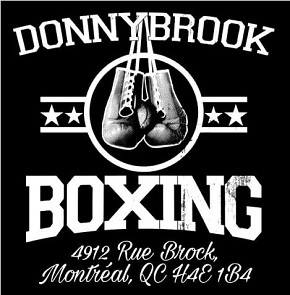 Anthony JoshuaAntonio DeMarcoCanelo Alvarezconor mcgregorDillian WhyteGennady GolovkinNonito DonaireOmar FigueroaRoy Jones Jr.